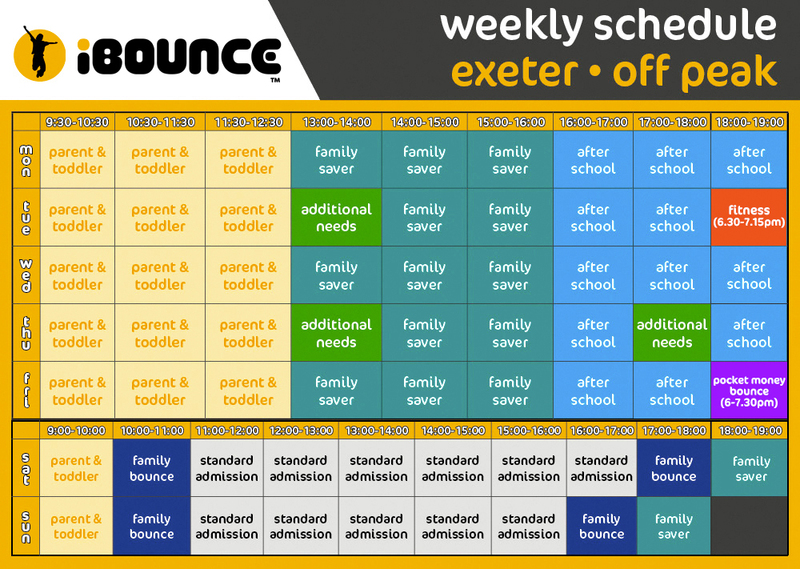 Experience the First Trampoline Park in Exeter - a wonderful indoor attraction that is great fun for all the family. Our newest Trampoline Centre which opened in 2017, prospective bouncers can launch themselves onto a giant airbag, enjoy the activity & stunt zones, light chaser games and something totally new for us at iBounce - Foam Pits! 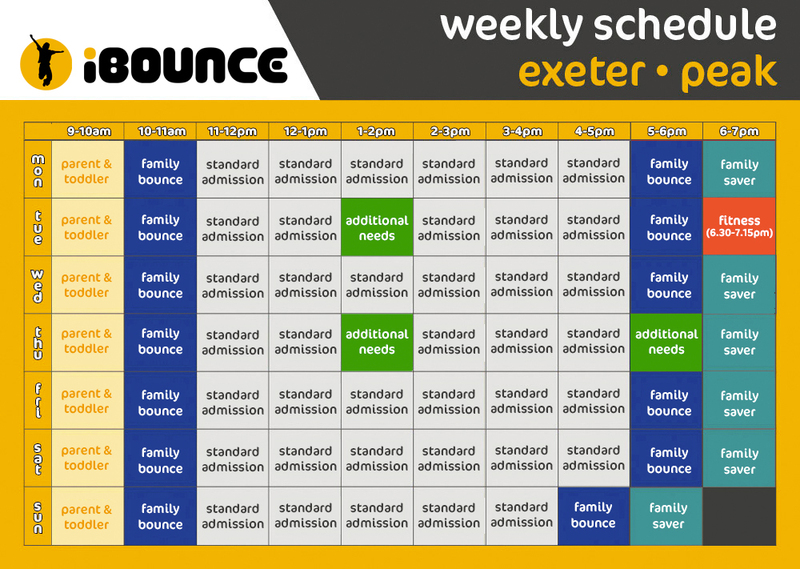 Please check here for the latest activity timetable schedule for iBounce Exeter. We are easily found, located at Marsh Green Road W, just off the A379. If travelling Northbound on the A380/A38, take the A379 Exit towards Dawlish. At the roundabout, take the 2nd exit onto Bad Homburg Way. Now continue on to Hennock Rd Central. At the next roundabout, take the 1st exit to Alphin Brook Rd. Then, at the following roundabout take the 2nd exit onto Trusham Rd. Finally, turn left onto Marsh Green Road W! Travelling from the Credition direction? Join the A377 and later turn right onto St Andrew's Road. At this roundabout take the 1st exit. Next continue onto Exwick Road, followed by Buddle Lane and then Cowick Lane. At the next roundabout, take the 3rd exit onto Marsh Green Road. If travelling Westbound on the Exeter A30, take the exit onto A377. Turn left towards Cowick Lane and then turn right onto the lane itself. At the roundabout, take the 3rd exit onto Marsh Green Rd. Finally, if you're travelling from the Sidford direction, join the A30 and take the M5 Slip Road towards Plymouth. Next, take the A30 exit towards Bodmin, then take the A377 sliproad towards Exeter. At the roundabout take the 3rd exit onto the A377. Turn left towards Cowick Lane and then turn right onto the lane itself. At the roundabout, take the 3rd exit onto Marsh Green Rd.